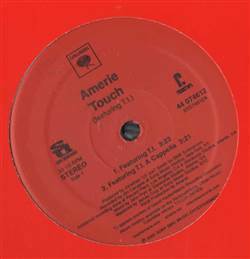 R&B, Columbia, USA, 2005... Touch, Touch (A Capella), Touch (Instrumental), Touch (Album Version). Featuring T.I. Jason Weaver - Stay With Me (Remix) 12" David Alexis - You Are The Lady 12" Ginuwine - Hell Yeah 12" Big Bub - Need Your Love 12"
ToshaMakia - Be Yourself 12" Babyface - This Is For The Lover In You (Remix) 12" Beyonce - Ring The Alarm 12" Kieran - Thinking About Me (Remix) 12"